Please find attached a great set of results from the 14th Cheshunt Open Meet. 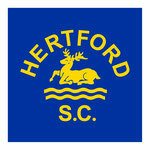 Out of 112 swims, Hertford swimmers achieved 44 PB's (39% of total swims) two of which Ellie Sopala and Isla Newman-Smith knocked over 11 seconds off their 100 IM times. There were also 7 Golds, 10 Silvers and 7 Bronzes! Congratulations to all our swimmers who competed - there were too many excellent swims to name them all but a few that stand out....Georgie Marsden (9) won Bronze in her first ever open meet so congratulations to her. Our top medallists were Josh Holland 2 golds, 1 silver; Ellie Sopala 2 silvers and a bronze and also achieved her first Counties Consideration times & Laura Malagoli 2 silvers and a bronze. Filip Back also achieved his first county consideration time. I’ve attached a list of Hertford swimmers who have up to now, either achieved a County Qualifying Time or a County Consideration time - more information will be sent out very shortly. For general information on Counties please read here. We’ll arrange to take a photo of everyone who attended the meet on Wednesday 7th November, details of which will be posted on Twitter.